One of the most difficult parts about getting something for the kids is that they are very impressionable. Today, they might like a certain character but tomorrow they might like something else. Therefore, deciding the right kind of interior for the children is very difficult. You would have to focus on the design, the color of the room and the furniture as well. Therefore, it is important that you learn about a few themes that work well with every kid and also last really long. Choosing various color themes for your kids would help you in tackling all these issues and giving them something that would love. The color based themes would mean the incorporation one or more colors in the bedroom of your child. Usually, one color is quite dominant in the theme while the other color is used as an accent. Deeper color is used as the main color while the lighter color is generally used in accents. You must always try to use bright hues in the kids’ bedroom. 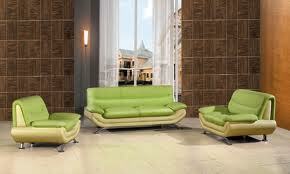 The most popular colors of this season include lime green, sunrise yellow, sunset orange, forest green etc. On the other hand, colors like white, pink and red are usually applied as accents. One of the best things to do here is to choose a color that would suit your child’s personality the most. For example, you can chose the lime green and white theme. Paint the walls in green and make sure that the room is provided with white accents along all the edges. This would help in breaking the monotony of the room. Any frames or decorative used in the room should be white in color. Pay special attention to the furniture. It should also be available in green color. Chose metal or plastic furniture that can be available in such a color. However, you can also chose composite wood or engineered wood furniture. This would be more practical kind of furniture and you would get more color options as well. When you follow this dual tone approach for your kids’ room, you would be in a better position to handle the ever changing choices of the kids. As the theme remains quite hip and peppy, the children and teenagers would never get tired of it. If you have used metal or plastic furniture in the room, it would be easier for you to change them or even repaint them. In this way, you would be able to get more economical room décor options for the kids’ room. Remember, furniture would be the costliest purchase for the room. You might have to spend close to a thousand dollars with ease on the desk and chair alone. Remember, you would still have to buy a new bed, a chest or maybe drawers along with nightstands for the kids. Therefore, get ready and make great décor choices. Remember to invest in great colors. Also, pay close attention to the personality of the child and try to include their choices in the décor. This would help you in making better furnishings and décor.